October 13, 2014. Chinese market has become the second largest pharmaceutical market globally, and it is expected to maintain a high growth rate of around 15% in the next few years. Multinationals have traditionally focused on tier one to three cities, particularly Shanghai, Beijing and Guangzhou, where the largest base of pharmaceutical consumers in China can be found. 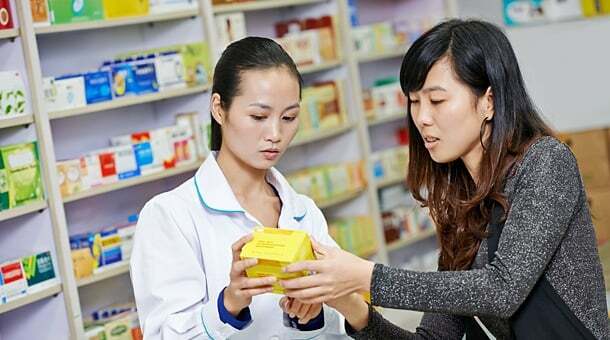 More and more foreign pharmaceutical players are considering the broad market in China, or the so called lower tier market, which they believe will be the key driver for the continuous growth in the future. There are currently over 400 million people in the urbanized areas in China who are in the reimbursement system, where their medical fees are partly by insurance companies or local governments. That number is twice that in China’s rural areas, such as Kunming, Datong and Mianyang, where the population accounts for 53% of total drug consumption by value. Although the market size of China’s pharmaceutical broad market is huge, is it really an addressable market for multinationals? The broad market is different from the core market in many ways, including the type of drugs that are more popular, the distribution channels, promotional methods, geographical spreads etc.. Focusing on higher product quality and academic support is not as effective in the broad market. Broad market challenges include maintaining control over product distribution into lower tier cities, the cost of sending people to lower tier cities for academic promotions etc..
Novo Nordisk currently enjoys the largest coverage in broad market among all foreign pharmaceutical companies and is regarded as a special success case. Given the dominant position of their insulin products, Novo Nordisk’s products were spontaneously distributed to their target list of hospitals. This happened because the insulin products were needed by the hospitals, and Novo Nordisk was the only giant in this field at that time. In 2014, Novo Nordisk began to build a dedicated sales team for the broad market since they realized they could no longer rely on the natural commercial flow in order to continue to succeed in broad market. Hospitals now have alternative choices from Sanofi, Bayer, Eli Lilly and Gan&Lee’s. Pfizer is a pioneer in the broad market that has tried different approaches to capitalize on the market potential. As early as in 2011, they formed a strategic cooperation agreement with Jointown, a leading distributor and pharmacy group in China, to develop the broad market. Pfizer outsourced its product distribution and promotion to Jointown, in order to make full use of its local network. However, the cooperation stopped after just a year. Pfizer”˜s inventory for the broad market became extremely high and unhealthy, as they found their partner’s ability and efforts in product promotion and market push to be below its expectations. After ceasing the cooperation, Pfizer started building up its own teams for low tier markets. As is the case with most brand owners, multinationals ultimately tend to build their own dedicated teams to approach the broad market, regardless of their previous successful or unsuccessful experiences. There are different market penetration models, when doing so. In this model, companies set up a dedicated pilot team to test and develop their target low tier cities. Once they have successfully developed the market, they “return” the city back to core teams. The lower tier city then becomes a part of the core business. Pfizer and Roche use this model, of which Pfizer has been a veteran. Their pilot team, or Geographical Expansion (GE) team, has successfully developed over 200 cities in China. All these cities are now part of their core business, handled by core sales teams. In 2014, Pfizer dismissed their pilot team as they believed the team has already successfully developed every city possible and successfully accomplished their mission. But this doesn’t mean that Pfizer has completed the development of the whole broad market, they believe this model can only be used on middle tier cities in China. Pfizer set up a joint venture with a Chinese domestic company, Hisun, with the hope of using Hisun’s existing network to reach lower tier markets. While the key driver for forming the JV is to develop generic drugs with Hisun, Pfizer also takes advantage of Hisun’s local network to develop broad market business opportunities. Companies such as GlaxoSmithKline (GSK) and AstraZeneca don’t fully rely on dedicated teams for the broad market on a corporate level. Instead, each business unit sets up their own dedicated broad market team. The advantage of this model is that business units can fully address the product features. Some pharmaceutical products, such as those offering oncology solutions, are not favorable in the broad market. GSK’s hepatitis business unit has a broad market team that has performed very well. AstraZeneca set up a company level broad market team in 2010, and beginning in 2014, allocated the team across each business unit. Having complex internal structures does not assist China’s pharmaceutical companies in breaking into the broad market, as several multinationals have found. It is better to use similar practices as their core markets, with slight adjustments. Only by making substantial investments in building up their own teams who really understand the remote areas in China, can foreign pharmaceutical players succeed in the broad market.